We are providing an enormous range of Thin Wedge Tungsten Bucking Bar to our prime clients. As the name of the metal bar itself suggests that, it has thin wedge which is used to reduce the vibrations in metal rivets. 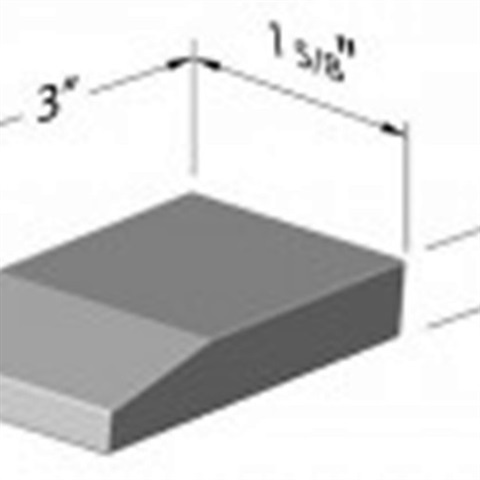 This wedge bar is manufactured by using high density tungsten on a large scale. This Thin Wedge Tungsten Bucking Bar find its applications in largely aerospace, nuclear, automotive and many other industrial sectors. Our esteemed customers can access this highly efficient long lasting Tungsten Bucking Bar in different specifications as per their desired needs.